Marvel's Next Female Superhero Is Coming To The Small Screen Soon! But Which Of These Four Actresses Will Play Her? Marvel hasn't had a single miss so far on the big screen, and they're hoping they can continue that streak with their gritty Netflix TV shows. We've already seen a lot of what they're doing with the Daredevil reboot, but what about the next series? Jessica Jones, being headed by Twilight movie writer Melissa Rosenberg, is all about a former superhero (above) with a past so dark it drives her to quit and become a private detective instead. Jessica may be the darkest of the Netflix series – and the most difficult to cast! We may not have trusted the B— In Apartment 23, but we love us some Krysten Ritter. 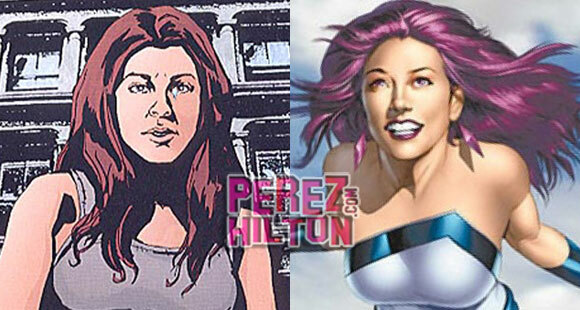 She can totally go dark, as seen in Breaking Bad, but can she pull off super too? Alexandra Daddario has already had super powers in the Percy Jackson series but showed she was ready for more adult fare in a breakout role as Woody Harrelson‘s mistress in True Detective. We obvi know Teresa Palmer best from falling in love with zombie Nicholas Hoult in Warm Bodies. We've yet to see her more serious work. Jessica De Gouw already has some comic book cred, playing Huntress on the CW's Arrow– but will that keep her from taking a dip in the Marvel pool? We wish all these stars luck, but mostly we just hope Marvel gets the casting right again! Who do you think is right for the role?